UPDATE: The U.S. Labor Department on Monday said it is “working hard to ensure the timely release” of the October jobs report, saying it intends to released the report on schedule Friday despite Hurricane Sandy. Friday’s employment report will be the final read on the labor market ahead of the November elections. Initial reports that a delay was possible briefly fueled speculation that the jobs data, good or bad, might not be revealed until after the elections. The video below was a class that I gave to the company's employees on October 16, 2012. The goal is to explain the concept of rollover in the forex market, which is synonymous with the term swap. The transcript is below. Shaun: Ok, so we're going to go over rollover and what it is. It's really the interest that accrues for holding an open forex position. When we place a trade, you guys know that we're trading on leverage. When we trade one lot of the EURUSD, we are trading €100,000 and then we're selling whatever the equivalent is in USD at the time. Right now the rate is 1.30. That means that we are buying €100,000 and exchanging that for $130,000. This is when EURUSD is equal to 1.3000. Make sense so far? Unfortunately, everybody wants interest and they want their pound of flesh. You're not just paying it for the money in your account, you're actually owing interest and earning interest for the positions that you have open. If you again use a current example, interest rates are at historic lows. They use the overnight rate for setting the rollover and swap rate on a position.The euro overnight lending rate is set at 0.01%. It's basically free money. The US dollar has an overnight lending rate of 0.15%. These are annual rates. It's pretty equivalent to what you're getting paid on a CD: almost nothing. But, that goes have a cost associated with it. When you look in MetaTrader, MT4 references it as the swap. In the industry, it's more commonly known as rollover. You have to pay interest for the positions that you do have open because they have value. When we decide to buy the EURUSD, that means that we own euros and we sold dollars. In interest terms, that means that we are owed interest on the euros and we owe interest on the dollars. Chris: That would be bad because the US dollar is more? Shaun: Right. If you're buying the euro, and this is in magical fairy land where you earn and pay the exact same amount of rollover for buying and selling, and we'll get into exceptions in a minute, but in the "pure scenario", you're only earning 0.01% annual interest on your euro position. You're paying 0.15% interest on your dollar position. If you're buying EUR/USD and held that position for a year, you would expect to accrue a loss of 0.14%, which is the euro overnight interest rate (0.01%) minus the dollar overnight interest rate (0.15%). If you did the exact opposite and sold EUR/USD, you only owe 0.01% overnight interest, but you make 0.15% percent interest. Chris: Are you assuming that you have the position open for an entire year? Shaun: Yes. Now, of course these rates change. These are overnight rates, which means that over night they change on a daily basis. The amount will fluctuate - slowly - but, it does fluctuate. This is in the hypothetical example where you bought EURSD, the overnight rates never change and you held the position for precisely one year. Chris: It's for one whole lot? Shaun: Yes. It's precisely one lot. One lot is the equivalent of 100,000 base currency units. Our base currency here is the euro. 100,000 of the base currency is 100,000 euros. Let's go through and calculate the rollover in our scenario of buying one standard lot of EURUSD. Apply the 0.01% rate to the €100,000 position. 0.0001 * €100,000 = €10. Of course, you must put that back in dollar terms. €10 * $1.3000/€ (the current exchange rate) equals $13. The $13 is the credit for the holding the EURUSD position for an entire year. The calculations are the same for the dollar, except for the fact that it's now a debit. The position of $130,000 * -0.015 (this is a negative number because we owe it) equals... does anyone have a calculator on their phone? We all do; we're programmers. Shaun: We have a $13 credit and a $195 loss from the rollover. $182 is the amount of money that we're going to lose after one year in our hypothetical scenario with the EURUSD exchange rate not fluctuating, the overnight interest rates not fluctuating and us holding our position for precisely one year. The next thing is that we need to go over the mechanics of rollover and how it is charged. It's a little quirky. I'm stating the obvious, but there are seven days per week. Chris: What's with MB Trading only giving 50:1 leverage. What does that mean? Shaun: It doesn't matter for the swap. If you have a position of €100,000, you owe interest on the €100,000. Andy: You owe the interest on the leveraged amount? Shaun: Yes. It's on the leveraged amount. When we opened that €100,000 position, we did that with $2,000 on 50:1 leverage or $1,000 on 100:1 leverage. You're not paying or receiving interest on your margin amount. You're paying or receiving it on the leveraged amount. Chris: So if I were doing that with MB Trading, I'd have to do it with two lots? Shaun: No. The interest is the same. You have a €100,000 position. Chris: To leverage that much, don't I have to double my margin? Shaun: Yes. Instead of using $1,000, now you use $2,000 to open the one lot trade. Rollover is seven days a week, but we know that trading doesn't happen on the weekends. In forex, trading really happens from Sunday afternoon to Friday afternoon. This is more of a technicality. The only really important days are Monday, Tuesday, Wednesday, Thursday and Friday.They need to charge interest for seven days even though there are only five days that are important. What they do is charge a single day of interest on Monday, Tuesday, Thursday and Friday. By convention and for no good reason, Wednesday's rollover carries the interest charges for Wednesday, Saturday and Sunday. Chris: Why don't they do it on Monday? Shaun: I don't know. Why don't they do it on Thursday? Terry: Or why don't they spread it out across the week evenly? Shaun: Why don't you pay 1.5 days? That's just the way it is. This is referred to as triple rollover Wednesday. Andy: That's the for the past weekend, correct? Shaun: No. It has nothing to do with the weekends. Rollover occurs precisely at 5 pm ET. When you look at the charts of most brokers, they are mostly based on broker time. But in the forex industry by convention, 5 pm ET is the start of a new day. 5 pm ET on Sunday is actually the start of Monday. 5 pm ET on Monday is actually the start of Tuesday's trading day. Tuesday's trading day concludes at 4:59 pm on Tuesday. Andy: But on Wednesday, you get charged for the past Saturday and Sunday? Shaun: Even if you didn't have the trade open! If you decide - very poorly - at 4:59 pm on Wednesday that you're going to open a trade, and you close the trade two minues later at 5:01 pm on Wednesday, you are going to earn or pay triple rollover. Andy: Oh, so it has nothing to do with the last weekend. They just charge you three times for whatever happens on that day. Shaun: It's a market quirk. If you hold that position precisely at 5 pm, you owe interest. If you do not, you do not owe interest. If you had the trade open for 23 hours and 59 minutes, but you closed it before 5 pm, no triple rollover. But if you have it at 5 pm, then you pay triple rollover. It's the same concept on Monday, Tuesday, Thursday and Friday, except it's only single rollover. Chris: What's to keep people from finding a favorable currency comparison and just opening trades for two minutes every day? Shaun: Lots of people try that and it doesn't work because of spread costs. Notice that the rollover rates are so tiny. We're talking about 0.01% per annum. Divide that per day and it's a silly amount. It's so negligible that you don't really care. There are exceptions. There's Golden Week and this involves the yen. There are days where triple rollover Wednesday becomes nine times Wednesday. You earn the interest for two weeks of trading. Shaun: It's because Japan shuts down for two weeks. Chris: It's only in yen pairs? Shaun: Yes. Anything involving a yen pair in May has Golden Week where you have a monster rollover day. It's kind of the way it is. People do try to take advantage of it. When interest rates were higher a couple of years ago, there was a big differential between the pound and the yen. The pound had an interest rate of 5.25% and the yen, as it is today, had an annual interest rate near zero at 0.25%. I think today that it's 0.1. The point is that there was a massive difference between the two of 5%. You could earn that on the leveraged position. Chris: Does that make the price spike? Shaun: Yeah, it does. People want to earn this money. This is what drives currency market, the shift in the interest rates. People chase yield. If I can open an account in GBP and I can earn 5.25%, if I'm holding yen, that's looking really attractive to me. I might consider the idea of converting my yen into pounds so that I can the extra 5%. This is referred to as a carry trade. It's the idea of using leveraged money to earn the difference in the interest rates. It's possible and it can be lucrative. The problem is that it depends on your timing of exchange rates. If you expect that... let me think of a scenario that applies to today. Let's say that the ECB decides to reverse course, and this is not likely to happen at all. Right now, they're trying to keep their interest almost at zero. Let's say they decided to stop intervening in the market and to charge a real interest rate. The euro interest rate would go through the roof, which motivates people to put their money into euros instead of dollars, yen, Australian dollars, whatever. If you expect that trend to continue for several years, that is a great motivation for buying that currency. Not only do you earn the increasing differential in the two currencies' interest rates, but more people are likely to follow the trade. The higher an interest rate is, the more likely people are to buy that currency. That was the reason behind Brazil's hot market as of about two years ago. Interest rates were 13-14% and everything was appreciating through the roof. You could sit back and know that you were going to make 14% in reals. The problem is that if you top the market like when the market yielded 14%, you earned 14% in reals and then the price plummeted by 30%. Timing is critical. That's the fundamental reason that the market exists. That's why people trade currencies. Not just for exchanges of payments, but for speculation, that is entirely why people participate. It looks like free money. There are all sorts of examples. Oddly enough, most of the mortgages in Poland are denominated in Swiss francs. The reason is that the Swiss had a very, very low interest rate compared to what the Polish zloty was charging at the time. If you could pay 0.5%, why are you going to pay 5% interest to have it denominated in zlotys? Well, the reason is because the Swiss franc has been appreciating for several years. Now half of Polish homeowners are severely underwater because the value of their loans has appreciated by 20 or 30%. They only make their income in zlotys. That's the risk of the market. Those are the kind of real world examples of why people decide to participate and why rollover is really important. This is the electronic form of how it applies to our traders and our customers speculating in markets. The real mechanics behind it are more tangible like in the mortgage example. Andy: Is it common for strategies to keep track of I would make money, so I want to hold my trade until I hit my interest point for the day? Shaun: You could, but it's a silly risk. If you think that it's dangerous to be in now, you're going to stay in risking an average of 120 pips of movement in the EURUSD so that you can capture the equivalent of 0.25 pips. Andy: Ok, so it's pretty much worthless. Terry: Your current interest rate, is that something that a strategy has access to at the market level? Are we able to go out and query that? Shaun: Nope. It has nothing to do with backtesting. It doesn't make assumptions about rollover. It isn't present in MetaTrader on a historical basis. It is available in real time and I can show you guys where to find that. It's not something that most people look at as part of a strategy. It is an important part, but it shouldn't be the maker or breaker. It should be a little bit of juice. You use it to pad the margins a little bit or it might be a drag on performance. It should not be the primary reason why you're entering a trade now at 4:59 pm so that you can capture the tenth of a pip in interest cost and pay 2.5 pips in the process. The one thing that I wanted to point out, too, is that everything that I explained is kind of hypothetical. You either lose 0.14% or you make 0.14% on an annual basis. In reality, that's not how most brokers work. It's a good way that they pad their margins. This is how they make a slight amount of money on traders that aren't trading, through the difference in the rollover rates that they charge. In the example that I sent you, and assuming that we opened MetaTrader and that it was a perfectly equal market, you would see that buying costs you. MetaTrader shows you in dollars, but I'm just going to put it in percentages. You expect a return of -0.14% for buying EURUSD and a return of +0.14% for selling EURUSD. What happens most of the time is that everything gets skewed against you. The cost becomes a bigger number and the profit becomes a smaller number. Chris: You're saying it's the broker that does this? Shaun: Yes. It can be the broker or it can be the ultimate liquidity provider behind the broker, but yes, the interest rates are set and then they get shifted. Obviously, someone earns that differential. Terry: So, obviously, these are within the bounds of legal priorities based on trading rules? Shaun: Yes. It is a cost. I don't know of anybody that discloses it. I don't know who the ultimate beneficiary is to be honest. Shaun: That's my assumption that the broker is making the difference. If they net their trades, they should be capturing that difference. If you have 50,000 clients and most of them are piled into the EURUSD, there's only going to be a certain amount of net exposure. Only say 10% of that difference is going to be net long or short. You can net out the difference between these two and keep all of it. It's not super lucrative, but it's money sitting there and they take it. Terry: A dime times 50,000 is lucrative. Shaun: Yes. It adds up. Terry: Especially when it's all electronic. Chris: Maybe I'm behind the times, but I thought they were pressuring the euro zone to ease. Chris: But they're already way below the dollar. Shaun. Well, the target headline rate in the euro zone is 1.25%, which is the result of the central bank intervening. They're buying Spanish bonds, Italian bonds. Basically, the bonds that literally nobody wants. They're buying them so that the interest rates go down. If I'm going to loan money, you have to make the call for your business or multinational corporation. You have to decide. Do you want to tie up money in junk debt for a year and get 6% in Spanish bonds? Or do you want to loan to the ECB directly at 0.01%. You get paid almost nothing, but at least you know you'll get your euros back. Terry: Well, it depends on how long you're planning on being in it and what you think the future is going to turn. If you think that's going to turn, then go ahead and camp on it now and get it for nothing. Terry: If you can afford to be in it that long. Shaun: Yes, and that's why there are interest rate curves. That's a whole different subject. If you lend for a day, and let's use the US Treasury as the simplest example, we start out with bills at the short end of the duration. Bills are anything about a 90 day coupon and out to a year. You can buy a treasury note for the one year, two year, five year and ten year. Each duration is supposed to get higher and higher, but the further out you go, you're supposed to get a higher rate of interest. It's rather negligible compared to the duration. The difference between the overnight and the 3 month is pretty substantial. The difference between the 10 year and 30 year is supposed to be more substantial, but obviously the time involved is almost beyond comparison. That's why in the original EURUSD example I said that the overnight rate is this, because that's what we use in forex. What people are really looking at when they're deciding whether or not to take out mortgages or to loan money in different sovereign bonds, they're looking at one year yields, ten year yields. Terry: It seems like it doesn't make sense to go past ten years. Three decades is a long time to tie something up. Shaun: In that market I would agree, but there were people in the 1970s that caught the US Treasury in the height of the stagflation when interest rates in the US were at 17%. They loaned money when the short term rates were actually inverted. People were taking the easy money earning 17% annually over 3-6 months. The smart money locked up those interest rates at 14% for thirty years. They made 14% per annum. Shaun: ... compounded for 30 years. They guys that made the thirty years made a killing and as close to risk free as you could get at the time. Today, I would argue that's suicide. I don't think the dollar will be around in 30 years. But, that's a different story. Andy: When do these costs get calculated? Every day at 5 o'clock, they say you gained two cents or whatever. When did that fee get charged. Shaun: Interest rates are a really complicated subject. They're actually the result of a huge scandal right now that I know none of you know about, none of the people that I know know about, but that everyone should be up in arms about. It's called the LIBOR Scandal. LIBOR is where overnight interest rates are set. It's not a free market. It's voted on by a group of 30 some-odd banks. It's all the normal culprits, the people that are despised and rightfully so: the Goldman Sachs of the world, Barclay's, RBS, Bank of America. Any bank that you've heard of that's international, they're probably one of the banks that set the LIBOR rates. They all get to vote and decide what is tonight's interest rate for the US dollar. When they set the rate, that's what every bank in the world uses to set its overnight lending rate. Chris: They just pull it out of thin air or they base it on something? Shaun: They pull it out of thin air. They just vote. There's a formulawhere they throw out the most extreme votes and keep the average of the middle ones. It's the most important market in the world because it affects everything that connects to money. It affects stocks, real companies, bonds, mortgages, currencies... it affects everything. What happened this summer was that the Bank of England got caught encouraging Barclay's to manipulate the LIBOR rate. As you can image, banks have a strong interest in voting whether the LIBOR goes up or down. It affects all sorts of things like how much they have to pay savers in their CDs. How much do they charge for a mortgage. They have all sorts of motivations to keep the interest rates as absolutely low as possible to benefit themselves. That's what happened. LIBOR is set in London, but it really doesn't matter. All the banks are international. It's really just a committee. Andy: With no government oversight? Shaun: It was with the active collusion of the Bank of England and the Federal Reserve. They encouraged the banks to keep the interest rates low because it aligned with their policy objectives. The New York Stock Exchange NYX +0.32% said its trading floor would be closed starting Monday, as New York City braced for Hurricane Sandy and a shutdown of the city's transit system. Trading in all securities listed on the Big Board will be moved to Arca, an electronic trading platform operated by New York Stock Exchange parent NYSE Euronext, according to a statement by the company. The market operator said activity will also be suspended on its NYSE MKT exchange, formerly known as the Amex. "We are open for business and at the same time acting in accordance with actions taken by the city and state of New York," said Duncan L. Niederauer, chief executive of NYSE Euronext, in a statement. 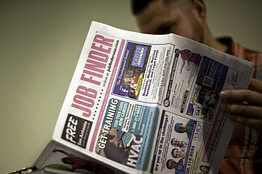 Spanish unemployment climbed to a record in the third quarter as a deepening recession left one in four workers jobless, adding pressure on Prime Minister Mariano Rajoy to seek a second European bailout. Unemployment, the second highest in the European Union after Greece, rose to 25.02 percent from 24.6 percent in the previous quarter, the National Statistics Institute said in Madrid today. That is the highest since at least 1976, the year after dictator Francisco Franco’s death ledSpain to democracy. EES: Is the tech sector undergoing major changes? Thursday last week, Google (GOOG) experienced a sharp plunge after RR Donnely (RRD) released bad numbers ahead of schedule. But as many have pointed out, Google's numbers were bad, even without the pre-release mistake. This isn't an anomaly in the tech sector, recently the Facebook IPO (FB) dissapointed investors, combined with an IPO tech glitch which had never been seen before in an IPO. The $4 trillion-a-day foreign-exchange market is losing confidence in central banks’ abilities to boost a struggling world economy. Rather than sparking bets on growth, the JPMorgan Chase & Co. G7 Volatility Index, which more than doubled in 2007 to 2008 before policy makers employed extraordinary measures to address faltering global expansion, has dropped to a five-year low. While small foreign-exchange swings historically favor the strategy of borrowing in low-yielding currencies to buy those with higher returns, a UBS AG index that tracks profits from the so-called carry trade has fallen to the lowest level since 2011. Average daily volume in foreign exchange fell 39 percent in September from a year earlier, according to data from ICAP Plc’s EBS trading platform. That’s also harming currency managers’efforts to boost returns. When Scott Schmith finally got his Swiss passport last month, it was time for him to take a drastic step: hand back his American one. Among the reasons was a pending U.S. regulation aimed at tracking down tax cheats that is making life difficult for some Americans abroad. These expatriates say that foreign banks, which have expressed concern about compliance costs and potential penalties for failing to report on their American clients, are turning away their business. The French president says a deal to start building a banking union on 1 January will enable the eurozone to speed up economic integration. "Thanks to this we can advance more quickly and with more assurance," Francois Hollande said in Brussels. He was speaking after EU leaders agreed to set up a single banking supervisor for the 17-nation eurozone - a key step towards a banking union. But Mr Hollande also said EU states "need different speeds" of integration. "We should have a council of the eurozone to meet on a regular basis... We need different speeds - that's agreed by everyone now, and there are even some moving backwards," he told a news conference. Germany's Chancellor Angela Merkel insisted again that "quality takes precedence over speed" in setting up the banking union. A Google (GOOG) earnings report that was released early caused the stock to drop by 9% today, and shares were subsequently halted. As of 1:25 p.m. ET, Bloomberg reported that Google has blamed the early release on it's printer R.R. Donnelley (RRD), whose stock is also down on the news. Stocks drifted lower again Thursday as techs dragged sharply following Google's surprise earnings announcement that disappointed investors. Google shares were halted following a 9-percent plunge after the search-engine giant unexpectedly released its earnings report in midday trading. The company posted earnings of $9.03 a share on revenue of $11.33 billion, missing expectations for $10.65 a share on sales of $11.86 billion. The company was scheduled to post after the closing bell. When the U.S. Dollar Index peaked at 120.51 in January of 2002, few suspected that it was on the brink of a one-directional correction that would ultimately erase a third of its value. In fact, in just three short years, the dollar index shed, on average, a point a month before ultimately hitting a low of 80.77 in January of 2005. This sharp decline in the dollar index coincided with, and largely fueled, the first few years of the now decade-old bull market in gold. This article will explain how to take advantage of the Fed's QE Infinity policy. It assumes that over the long run, the USD will decline most significantly against emerging market and high interest yield currencies. We will explore a few options how to execute this model U.S. Dollar carry trade portfolio. The confidence of visitors, however, is seriously shaken in the museum shop, just before the exit, where, for €8.95 ($11.65) they can buy a quarter of a million euros, shredded into tiny pieces and sealed into plastic. It's meant as a gag gift, but the sight of this stack of colorful bits of currency could lead some to arrive at a simple and disturbing conclusion: A banknote is essentially nothing more than a piece of printed paper. Risks to global financial stability have increased in the past six months despite efforts by policymakers to make the financial system safer, according to the International Monetary Fund. It said little progress had been made in making the system more transparent and less complex, and that confidence in it had become "very fragile". A single mysterious computer program that placed orders — and then subsequently canceled them — made up 4 percent of all quote traffic in the U.S. stock market last week, according to the top tracker of high-frequency trading activity. The motive of the algorithm is still unclear. Draghi: "Well, I don't think, there shouldn't be any market reaction." Draghi: "I guess, no? If there is, I don't know what to say." Constancio: "No, markets were not expecting much…"
Trust them – they know what they're doing. Profit gains earned through job cuts and factory closings in the absence of a global economic recovery are starting to reach their limit. Third-quarter profits and sales for the Standard & Poor’s 500 Index (SPX) probably fell in unison for the first time in three years, according to analysts’ estimates compiled by Bloomberg. Per-share earnings may have dropped 1.7 percent on average after they were little changed in the second quarter. Sales may have slipped 0.6 percent, the data show. While most companies plan to keep a lid on spending, lower expenses aren’t leading to the same kinds of increases they reported earlier this year. Hewlett-Packard (HPQ) Co., the world’s largest personal-computer maker, already forecast full-year profit that trailed analysts’ estimates, FedEx Corp. (FDX) cut its annual earnings forecast and Intel Corp. (INTC) projected lower third- quarter sales, with all three citing softening demand. Alcoa Inc. (AA), the largest U.S. aluminum maker, kicks off the third-quarter earnings season tomorrow and is projected by analysts to report a 13 percent drop in sales, the biggest drop in three years, on plunging prices for the commodity. That may wipe out per-share earnings, according to estimates. Former General Electric Co. (GE) Chief Executive Officer Jack Welch, writing on his Twitter account, accused the Obama administration of manipulating U.S. employment data for political advantage. Growth is slowing down for the first time in six years, according to a report prepared by analyst Sreekrishna Sankar. Despite a widespread shift to electronic trading in the past decade and the emergence of technical platforms that cater to institutions, near-zero interest rates and fears of recession in many parts of world are causing banks and asset managers to pull back from foreign exchange trading. The result: Volume is at $4.3 trillion a day this year, down from peak of $4.7 trillion in October, Celent says. This remains above 2010 levels. But the only country where volumes are up is the United States, which is showing what Celent calls a “minimal increase.” All other parts of the world are showing a drop in volume from 2011. Economic crises in Eurpe and elsewhere are slowing FX growth. The biggest drop is in spot markets, Celex said. That is where investors had begun to treat foreign currencies as a new asset class, representative of the strength of different economies. TEHRAN — Clashes and at least one spontaneous protest erupted in Tehran on Wednesday over the plunging value of Iran’s currency, as black-market money-changers fought with riot police who were dispatched to shut them down, and hundreds of angry citizens demonstrated near the capital’s sprawling merchant bazaar, where many shops had closed for the day. The official media reported an unspecified number of arrests including two Europeans. Given the missteps that have prolonged and deepened the European debt crisis, one wouldn’t necessarily expect the continent to be home to far-sighted financial reform. But that is exactly what seems to be happening in the realm of high-frequency, computer-driven trading. High-speed trading comes with real benefits: lower trading expenses, better prices for investors and increased market liquidity. The costs, however, are fairly significant and can be seen in wild volatility and destabilizing trading snafus. The U.S. Securities and Exchange Commission, stung by criticism that it lacks the knowledge to analyze the computerized trading that has come to dominate American stock markets, is planning to catch up. Initiatives to increase the breadth of data received from exchanges and to record orders from origination to execution are at the center of the effort. Gregg Berman, who holds a doctorate in physics from Princeton University, will head the commission’s planned office of analytics and research. High frequency trading, which some consider the root of all evil in today’s markets, may be on the verge of new regulations that could help avert future catastrophe. The problem is the potential new rules may not solve all of the market’s problems. At least that’s what Larry Tabb, founder and CEO of the research firm Tabb Group, concludes in prepared commentary ahead of today’s roundtable discussion between the Securities and Exchange Commission and several companies within the industry. High frequency trading is often characterized as the use of supercomputers by sophisticated trading outfits to jump rapidly in and out of markets. HONG KONG (CNNMoney) -- Activity in China's factory sector continued to slide last month, bringing more bad news for the country's political class as they prepare for a once-a-decade leadership transition. The Chinese government said Monday that its official manufacturing index hit 49.8 in September, up from 49.2 in August. Any reading below 50 indicates that factory activity is shrinking rather than growing.